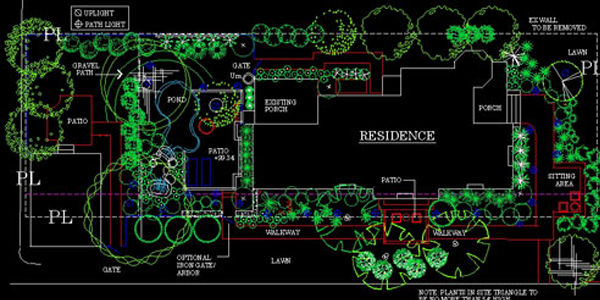 I was recently contacted by the owner of a landscape design build company in Long Island. He wanted to know my thoughts on using Google SketchUp as opposed to other types of landscape design software. What I told him about this terrific 3D design software would apply to both professionals and homeowners. SketchUp is that easy, not to mention fun! SketchUp provides the ability to draw in 3D so that a design or concept can be easily visualized. For the homeowner, drawing this way requires no intricate design abilities, while the landscape designer or architect has more sophisticated choices. They can draw directly in 3D or draw in 2D with such programs as AutoCad and turn it into a 3D design. The way it is done is that the AutoCad 2D drawing can be imported into SketchUp. That then becomes the base design for accuracy. All of the dimensions and locations are maintained in the 3D design. I’ll focus here on landscaping, since landscape design is what I do, yet SketchUp is great for interior design, architecture, mechanics and more. You can draw patios, walkways, swimming pools, ponds, houses and so on. Along with being able to draw these objects directly, you can also just add components into your design, such as plants, cars, people, etc. There are companies where you can purchase these or you can go to Google Warehouse where there are many components that are free. You can try SketchUp for free or purchase the professional version. If you’ve never used it, you might try the free version first. 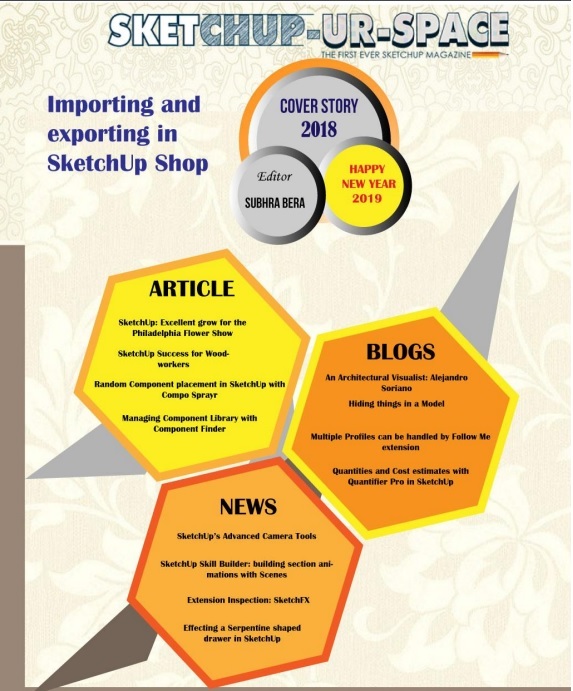 However, do read up on the SketchUp Pro to see if there are features that are important to you. The free version is probably adequate for homeowners while professionals would probably benefit from the SketchUp Pro.